The goal of every good app developer is the same: take a great idea, build a clever prototype, press on through multiple challenges, and, finally, land investors to bring the idea to market. Fame and fortune naturally should follow, plus the opportunity to build additional apps. Lather, rinse, repeat. However, rules for mobile apps and games are changing. Consider the case of Outfit7, creator of the Talking Tom and Friends franchise, which is based on the simple talk-back concept. In late 2015, Outfit7 crossed the incredible three-billion-downloads mark, after just six years in the market. That immediate success makes their journey unique among those developers usually take. Perhaps more significantly, Outfit7 rejected early 'angel' investors and used the founders' own money, banking on phenomenal income growth to fuel the company's rise. In addition, the team isn’t dreaming about following the usual development path to become the next Microsoft*, or the next Electronic Arts*. They want to be the next Disney*. Their technology story recently took another interesting twist, as they switched to the Unity* engine. The primary goal was to take advantage of multi-platform support that now includes the Universal Windows Platform (UWP). The move to Unity should open up better access to the Intel® architecture, and the one billion Windows® 10 devices expected to be sold in the next three years, furthering Outfit7’s unprecedented growth. Headquartered in Limassol, Cyprus, Outfit7 has key subsidiaries in the United Kingdom, Slovenia, and China. The company was started (in 2009) by eight friends–mostly engineers–who had previously worked on web technologies. The early plan behind Outfit7 was to take what the team knew about performance and algorithms, and make something entertaining and fun. Their key visionary was Samo Login, who had served as the founding Chief Technology Officer at Najdi.si, a popular search-engine portal in Slovenia. He invested $270,000 of his own money, and pushed his team to quickly develop multiple apps. They discarded the weakest entries, and, in July 2010, launched Talking Tom Cat as an iOS* app. The Talking Tom Cat app has grown rapidly, and now shares the stage with numerous other 'talking friends', including dogs, parrots, and more cats. In the original, players poke, prod and laugh out loud to Talking Tom Cat's kooky reactions and share fun talk-back videos with friends. The experience and gameplay continues to evolve with each app launch. With the subsequent highly successful and award-winning releases My Talking Tom and My Talking Angela, gameplay involves growing, and caring for, your character. Players start with a cuddly little baby that requires food and attention (and bathroom breaks) in order to grow and thrive. Players can quickly start earning credits by watching advertisements and marketing videos, or by playing simple games and racking up high scores. The credits help you shop for clothing upgrades, food, home-remodeling options, and more. There are voice options as well. The app is free, with revenues based on game advertising. Players have formed real and immediate emotional attachments to their electronic pets, and the global reaction keeps growing. Couples have even been married using the voice feature, which renders human voice inputs in the high-pitched squeaky voice iconic to Outfit7’s creation. Talking Tom’s Jetski added a runner element to the Talking Tom and Friends world. And Talking Tom Bubble Shooter further extends the app franchise’s gameplay with immersive bubble-shooter gameplay, allowing fans to play solo, or go head-to-head, in real-time. Today, the brand as a whole has permeated pop culture. Talking Tom and Friends visited the White House for the 2013 Easter Egg Roll, and there are now dedicated YouTube* channels, and an animated web series. A full-length animated movie could be next. As with most startups beginning the developer's journey, Outfit7's engineers had a good idea about the hardware and software resources they would need in order to grow quickly. They chose the Google* App Engine for their cloud technology, and developed their game with multi-platform reach in mind from the beginning. But support for Intel devices was limited in the early days. Marko Štamcar, one of the co-founders at Outfit7, is currently the Senior Software Engineer, and release manager. He explained that the multi-platform approach was a key driver in switching to the Unity engine for future development. "We always want to support as many platforms and systems as we can, and we start every project with that in mind. We must have support in the apps to connect via Facebook*, for example. People from different platforms must be able to see each other in our apps as well." For the first couple of years, Outfit7 used their own technology in a proprietary development engine to create their apps for Apple* and Android*, the two leading platforms. They only supported the ARM architecture directly, but that was enough. Fortunately, to reach non-ARM devices, many non-ARM devices provided ARM translation in their operating systems–but there were issues. "We started noticing that Intel devices displayed some incompatibility issues with our apps," Štamcar said. At that time, the Unity engine wasn’t an answer, because it did not support Intel either. "We had to wait until Unity supported Intel architecture for mobile apps in a stable manner, and that happened a few months ago, in early 2016. Since then, we have released My Talking Tom and My Talking Angela for Intel devices." Štamcar and his team were smart to concentrate at an early stage on the two most popular platforms. According to Business of Apps, a leading tracking site, there were 25 billion iOS app downloads in 2015, and over 50 billion Android downloads. Total app revenues across all platforms are projected to grow from $45 billion in 2015, to over $76 billion in 2017. With market saturation always an issue, future growth should get a boost from the emergence of Windows 10. The latest Microsoft operating system is officially on the fastest adoption trajectory of any version of Windows–it’s now running across 200 million PCs, tablets and phones. In the next three years, an estimated one billion newly sold devices could join those ranks, so any developer, no matter where they are in their journey, would be wise to jump on the bandwagon. Štamcar has. "We support all the Windows-based, touchscreen-based tablets there are, and all the phones they have," he said. "We like mobile devices and touchscreen-based devices, because all our apps have lots of interaction with touches. We don't invest in developing two different user experiences, so mouse and keyboards for us are not an interesting application." Other than that, however, Štamcar is interested in any platform that performs. "Apple and the Android are not the only players in the mobile systems anymore," he said. When the team first started, they actually used different engines for different platforms. "There were some similarities, but there were many differences as well. The only common things in the engines were the UI behavior and the game logic." Two engines may not seem so bad, but consider the sheer number of devices they have to support. "Some game engines are so complex that they won't perform well on all devices, especially on Android," Štamcar said. "I think My Talking Tom supports around 10,000 devices. That is a lot of devices to run perfectly on–and to get the quality we want, we have a huge quality-assurance department." Like so many other developers, Outfit7 chose Unity. For Outfit7, there were several reasons why switching to Unity was a smart move. First, settling on a single engine cut down overhead when managing multiple code-bases and testing devices. Second, the team was able to tap into a healthy local market for developers who understood Unity. And third, it opened up the Intel Architecture. "The level of complexity we have in our apps now is impressive," Štamcar says. "And the mobile audience has really grown. In 2009, you could sell almost any boring app for one dollar. You can't do that anymore; consumers now expect more complexity. But that means it's a little expensive to develop for many platforms if you don't have a unified game engine. Unity is the key ingredient for us." Outfit7 wanted a lightweight game engine that supported 3D, but the game scenes are not very complex. That ruled out Unreal, which supports highly complex first-person shooters. "We did not, and still don't, need such a complex game engine as Unreal. We just need basic support and a good architecture to push our ideas forward." 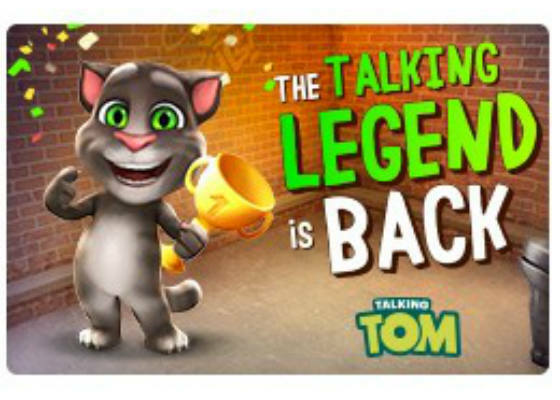 In 2013, they released My Talking Tom based on the Unity port. Investing further in a proprietary game engine was going to be expensive, Štamcar says. And having access to Windows 10 development options could be a game-changer. "Unity is a standard now, and all the startups will look at it, and have experience with it. And now we can have a single Unity app running on Windows 10 phones, tablets, and desktops." Support for Windows 10 Universal Windows Platform (UWP) Apps in Unity 5.2 has huge potential. Unity 5.2 will export Visual Studio* 2015 solution files, which can then build and run on Windows 10 PCs, plus Windows 10 phones and tablets. Three architectures are supported: ARM, x86 and x64. In addition, developers can use .NET Core 5.0 in their projects. Visual Studio 2015 RTM, (the minimum version is 14.0.23107.0). Earlier versions, for example Visual Studio RC, are not supported in Unity 5.2. You’ll also need to install the Windows 10 SDK. With UWP support in Unity 5.2, developers can build a single game for Windows 10 that targets multiple devices ranging from phones to tablets to PCs to Xbox*. This means that multiple screen-sizes and resolutions, different device capabilities, and a wide range of aspect ratios are all supported within a single game. Starting with Unity 5.2, Visual Studio becomes the new default Unity scripting editor on Windows. The Unity installer installs the free Visual Studio Community 2015 and the Visual Studio 2015 Tools for Unity. Unity will automatically pick up VSTU where it is installed. Scripts will open directly into Visual Studio, where developers can write and debug their Unity game. Since its inception in 2010, and throughout its tremendous growth since, the brains behind Outfit7 have made a few interesting decisions, taking paths that other developers chose not to travel. Consider the company’s rejection of outside funding during its early stages. When the Outfit7 team reached the 150-million-download mark, they realized they had the financial strength and monthly income to take the reins themselves, and avoid the distraction of answering to bankers and venture capitalists. Far from having to compromise on release dates, quality levels, and character choices, they blazed their own trail. When fledgling teams like Outfit7 are fortunate enough to tap into their own funds, they are also more rational on how those dollars are spent. They tend to eschew the traditional rush to an initial public offering (IPO), made in order to stock up on cash and pay off early investors and co-founders. This was the case with Outfit7, as Login has explained several times, notably to Bloomberg Television during an interview touching on the company’s initial wave of success. In another diversion from the typical gaming app developer journey, Outfit7 saw themselves evolving into something bigger and better, not tied exclusively to gaming. In fact, from the outset Outfit7 never really set out to make games. The objective was to entertain and empower the inner kid in everyone. And that has most definitely been achieved. Rather than seeing itself as just another app developer, Outfit7 has molded itself into an "omnimedia" company; creating and shaping its digital app creations as true intellectual properties. 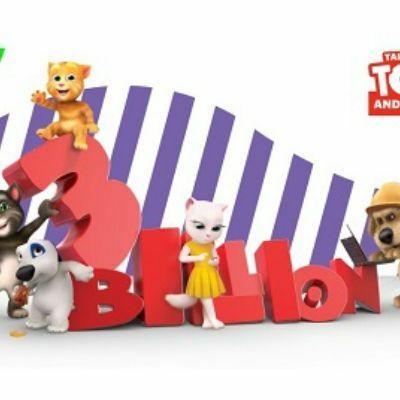 When Talking Tom and Friends: The Animated Series premiered on YouTube, Login chatted with Entrepreneur* about the company’s meteoric rise, and how fans emotionally connect with its characters. For instance, the in-app features encourage users to share their own creations on social media, developing a humorous community that transcends nationality, gender and age. The brand rapidly gained more fans as people used Outfit7 characters to communicate with one another. The founders have learned a lot on the journey from the company’s infancy to the position they have today as a true global entertainment company. That puts them in a position to give useful advice to beginning teams. Login’s advice to aspiring mobile app developers is simple: "Gameplay needs to be your number one priority." "If it is not fun, then users won’t open it a second time," he continued. "You not only need to continually grow your user base, but you also need to monetize it. And never rely solely on in-app purchases as your only revenue source. Developers should always explore other monetary options, and always keep the total experience in mind." More advice: spend a lot of time understanding what your application is all about. Who are you designing the experience for? It's not a computer or a browser–it's a mobile device that fits into your pocket. Login believes lots of developers make the mistake of taking an existing concept and adapting it into mobile, never quite meeting the audience’s expectations. "The mobile market allows you to be anything you want to be," he explained. "The best performing apps are in categories all across the board. Utilitarian, educational or fun; you should be focused and be able to engage your audience." The future for Outfit7 will almost certainly diverge completely from the normal cycle of developers continually tinkering around the edges of their first great idea. Since app users really care about the Talking Tom and Friends characters, they interact constantly with Outfit7’s creations and get very attached. The open-ended nature of the apps precludes following a traditional gaming path, taking in bigger, badder explosions, harsher villains, heavier weapons, larger levels, and so on. Instead, Outfit7 continues to expand the Talking Tom and Friends franchise with new characters and new ways to interact with them, including movies and videos. Are Xiaomi Mobiles having Andriod OS or they have their own operating system ? How to retrieve deleted files in their respective folders? Does keeping mobiles one above the other damage their battery life?